Though it may seem like a straightforward process, navigating an interview (whether it’s by phone or in-person) can be daunting for someone who has never done it before. Even for a seasoned interviewer, there are subtleties that can elevate your interview from ‘meh’ to ‘marvellous’! 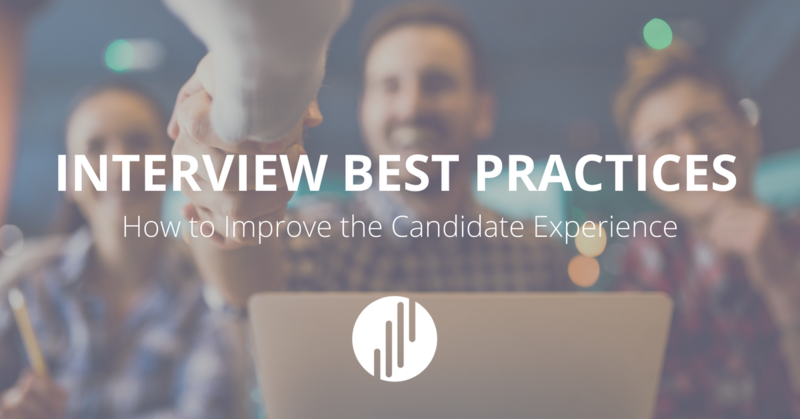 Let us show you some of tricks and tips to implementing interview best practices. As the job market becomes more candidate-driven, successful employers are recognizing the need for an effective candidate experience. Interview best practices go hand-in-hand with improving your hiring process. In this competitive job market, the most sought-after job-seekers have a range of interviews and offers to choose from. Distinguishing your company through the interview process is crucial in building the best team possible. Interviews are often your first point of personal connection with candidates. Also, interviews are a great chance to improve or solidify your company’s brand in the eyes of a potential employee. Effective interview practices can be the difference between a candidate accepting or declining an offer letter. Using interview best practices can ensure that your organization has a pipeline of potential candidates for other roles too! The best interviewers and recruiters understand the basic employer ‘do’s and don’ts’. They know that great interviews lead to better hires. It’s interesting how quickly we make assumptions about candidates. Yet, we rarely consider that candidates are making those same snap-judgements about the company they are interviewing with. Each interview is a chance to get an applicant excited about working for your company. Or…it can be an opportunity for the candidate (sometimes the very best one!) to write off working there forever. If you’re unsure about how to improve your interview skills, then you’ve come to the right place! We’ve put together a list of common best practices to keep in mind during an interview. These tips are just as important in a final interview as they are in the initial phone screen. Effectively interviewing candidates will come naturally with these tools in your back pocket. There are many important things to keep in mind when going through the interview process. The most important takeaway is to remember that the candidate is evaluating your company, just as much as you are evaluating them. Streamlining and implementing interview best practices in the process will lead to better hires and a positive candidate experience for potential employees. Ready to improve your interview process & create an excellent candidate experience? Our comprehensive Interview Guide Tool is now live!